Innodisk’s vertical EDC 4000 fits into any platform with an IDE connector and provides a simple, fast path upgrade. Designed for industrial embedded applications that require a speedy booting process, the EDC 4000 upgrades the working environment efficiently and enhances data transfer rates with read and write performances of up to 40MB and 20MB per second respectively. The vertical EDC 4000 comes in capacities ranging from 128MB to 16GB and is available in 40-pin and 44-pin vertical connector packages. 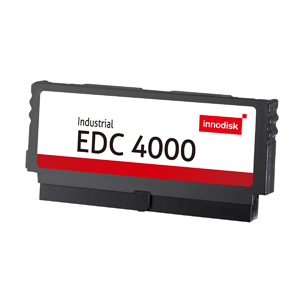 The Innodisk vertical EDC 4000 offers manufacturers a high-capacity solid-state flash memory solution that electrically complies with Personal Computer Memory Card International Association ATA standards.